First of all, my apologies for the late post. I thought I’d saved a draft but it had not in fact saved. 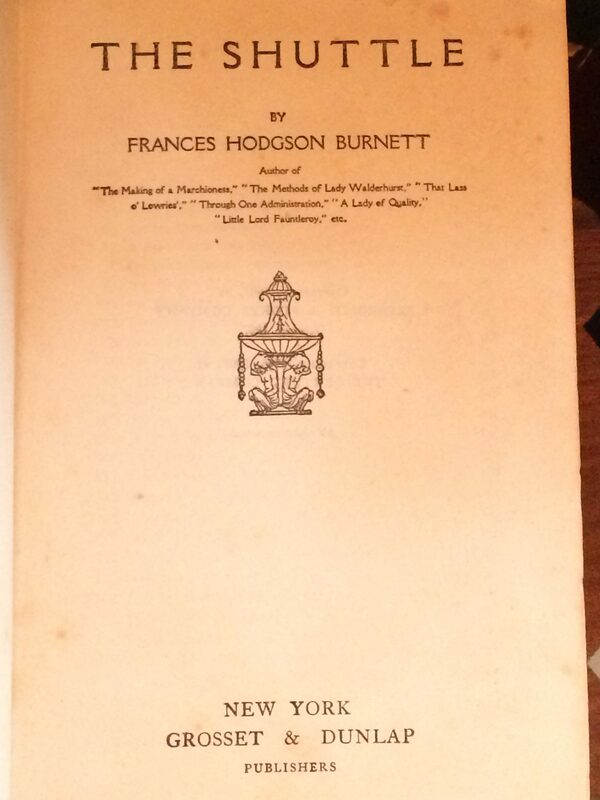 This week, we’re taking a peek at Frances Hodgson Burnett’s The Shuttle, which the internet tells me was published in 1907 but which the copyright notices in this edition sort of contradict. Close-up of the faded color-halftone onlay. Published by Grosset & Dunlap in 1907, this volume is bound in tan cloth with black stamping on the front cover and spine. The front cover also includes a color-halftone onlay, as seen above. The back cover is blank. As mentioned above, the copyright is of some interest as it seems to contradict established publication dates. 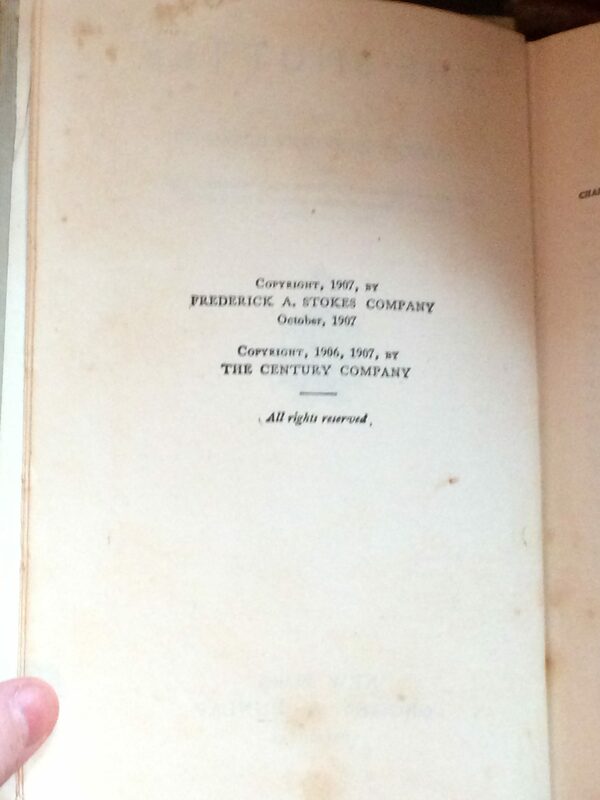 I suspect (but have not had time to determine) that the novel was serialized in The Century Company’s magazine. The title page. You’ll note there is pronounced foxing.